Amazon, which prides itself on being surprising, is doing two predictably unpredictable things this week. First, the company is offering better benefits to its 222,000 employees. The hard-driving online retailer has traditionally not supplied its workers with many perks, at least compared to its peers in the technology sector. Jeffrey P. Bezos, Amazon’s founder, once looked toward Microsoft and said if Amazon became “a country club,” it would die, according to a book by John Rossman, a former Amazon executive. So Amazon stayed lean in the smallest things. It eschewed, for example, free snacks. And it lagged in some of the biggest things: It offered no paid paternity leave and eight weeks of maternity leave. Enhanced family-friendly policies have been announced at a rash of companies, includingMicrosoft and Netflix. As the tech world competes for talent, benefits are a key selling point. 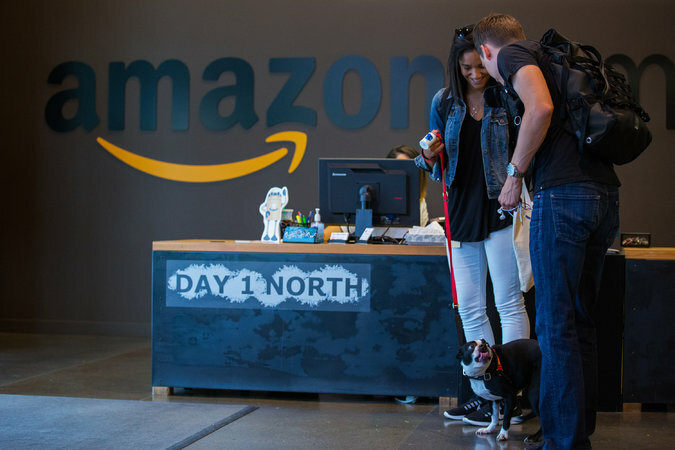 In an equally unlikely event, Amazon is opening its first store on Tuesday in the University Village mall in Seattle. An Amazon store has been rumored, and sometimes even reported as real, ever since the online retailer first made its mark in the late 1990s. In the last year alone, there have been reports of a store in Manhattan and Silicon Valley. There were also stories about negotiations to take over some of the bankrupt RadioShack outlets. This time, however, it is really happening. The Amazon bookstore is called, naturally enough, Amazon Books. It will stock about 5,000 titles, which as stores go is relatively tiny. In a note to its online customers, Amazon called the store “a physical extension ofAmazon.com.” The retailer, which is spending billions to refine and speed up home delivery, suggested that some people would come to the store to look at the books and then go home and order them online. Barnes & Noble, the largest traditional bookseller, closed a 46,000-square-foot store in University Village at the end of 2011. Local booksellers greeted the project — news of which leaked out gradually over the last month as Amazon Books stocked up and hired employees — with some befuddlement. J. B. Dickey, who owns Seattle Mystery Bookshop, said it might be a large corporation’s small vanity project. He cited all the drawbacks of a traditional store, including the need to pay rent, hire employees, work with low margins and persuade customers to battle Seattle’s merciless traffic. Amazon plans to charge the same prices in the store as it does online. The company remained noncommittal about its longer-term plans. SOCIAL NETWORKS WALK a fine line between being a useful tool and a crippling addiction. Whether you want your free time back, or don’t like your information scattered about on the Internet, you may be considering deactivating some accounts. Coming to this conclusion is one thing, but actually being able to hit the delete button is another story. Social media outlets make money off of you and your information, so it shouldn’t come as a surprise that they don’t want to let you go. Because of this, many have made it complicated to delete your account. But if you are set on getting rid of them, here’s what you’ll have to do. You’ve had your Facebook account for about a decade and in that time you’ve posted a little too much personal information. Maybe you’re just sick of all the baby pictures and slightly offensive status updates your friends are sharing. You’ve had enough. If you’ve ever deactivated your account you may have noticed that everything goes back to normal the next time you log in, as if nothing has happened. That’s because deactivating your Facebook account is not the same as deleting it. When you deactivate your account, you are just hiding your information from searches and your Facebook friends. Although it’s not visible, your account information is still intact on Facebook’s servers, eagerly awaiting your return. Deactivating your account is as easy as going into your settings, clicking Security, and then “Deactivate your account.” But finding the delete option is harder. The easiest way to delete your account is by clicking the lock icon in the top-right corner, then the search icon, then typing “delete account.” This will bring you to the page where you delete your account. There’s more help here. Once you fill out the form on this page, Facebook will permanently delete your account. However, they don’t do this until 14 days after you submit your request. You know, in case you change your mind. 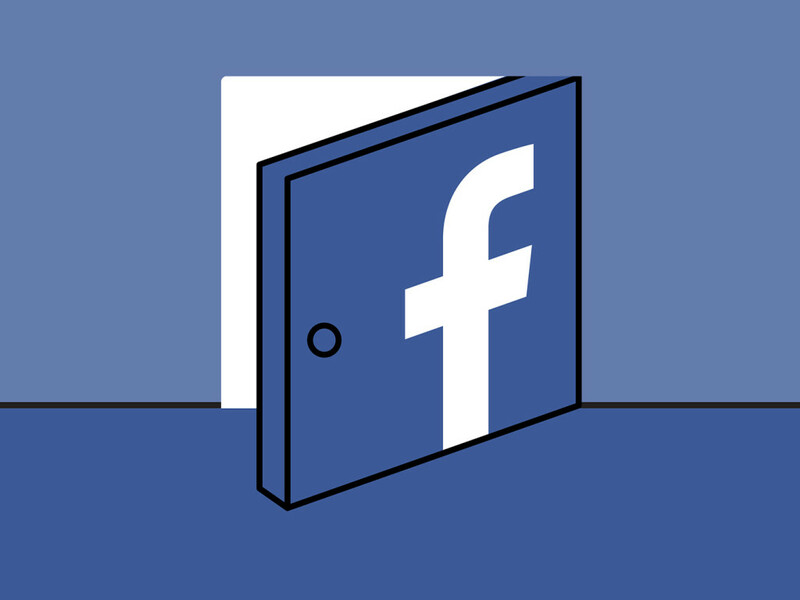 If you decide to get rid of your Facebook account, you may want to download your account information before you delete it. The information downloaded includes everything from the photos and statuses you post, to the ads you’ve clicked and IP addresses you’ve used. The list of what’s included is extensive, but you can view it in its entirety here. Also, due to the nature of this data, you’ll want to keep it in a safe place. To download your account, go into Settings > General Account Settings > Download a copy of your Facebook dataand then click “Start My Archive.” When your download is ready, Facebook will send you an email with a link to download. For added security, this link will expire after a few days, so act fast. Even though it’s such a mobile-first service, Instagram doesn’t let you delete your account through the app. Instead, you’ll have to log into your Instagram account via the web to delete it. In the past, Instagram users have reported that they are prompted to enter in their phone number when deleting their account. Luckily, it seems like this is no longer necessary. It can take a lot of time and effort to maintain a properly manicured Twitter account, but the good news is that deleting your account doesn’t require as much work. Before you delete your Twitter account, you may want to download your archive. This will include all your tweets in a chronological order, which is great if you want to relive your first tweet, or those unanswered tweets at celebrities. To download your archive, click your profile icon, then hitSettings, then “Request your archive.” It’ll take some time for Twitter to get your archive ready, but when it is, you’ll be sent an email with a download link that will give you a .zip file. Once you have your downloaded copy, you can proceed with deleting your account. Log in to your Twitter, go into yourAccount Settings, then scroll to the bottom and click“Deactivate my account.” After that, you’ll be prompted to enter your password, and once you do so your account will be deactivated. While there are a lot of social media sites out there, few are as sticky as the ones mentioned above. If you are looking to delete any of your numerous accounts, a good place to start is on the company’s support page. From there you’ll be able to find the necessary form for deleting your account. Shortcuts for these forms can be found here for LinkedIn,Google+, and Pinterest. The country would still be waking up in Ronald Reagan’s “It’s Morning Again in America” advertisement. The little girl with the daisy in the ad for Lyndon Johnson would not yet have counted past seven, the bomb left undetonated. And the phone in Hillary Rodham Clinton’s “3 a.m.” spot would still be ringing. Fifteen seconds is not a lot of time in the world of political advertising to make a compelling statement or share a riveting candidate story. But in the attention-deficit era of politics, with voters consuming more and more news on mobile devices, campaigns and the groups supporting them are devoting significant resources and energy to the micro ads that dominate the digital landscape. The result is an explosion of shorter, attention-grabbing spots that have made political messaging all the more blunt and, at times, creative. “It’s incumbent upon us as ad makers to adapt as the format changes as well, and not just adapt in terms of reducing the length of an existing video, but actually rethink the creative and express the message in a new way,” said Josh Sharp, the chief creative officer at Harbinger Outreach, a Republican events and marketing firm. With Americans shifting their attention away from television to mobile platforms and social media — Facebook says that more than 50 percent of its daily active users in the United States watch at least one video on the site every day, and Google tells clients that by 2018, 84 percent of all Internet traffic will be for video— it is not surprising that campaigns and outside groups are moving their resources there. According to an August report by Borrell Associates, an advertising research firm that tracks media trends, digital ad spending is expected to top $1 billion for the first time in 2016, an increase of nearly 700 percent from 2012, when it reached roughly $160 million. “Ultimately advertising will always go to where the voters are, and as these new channels are being developed, the campaigns will have to adjust to that,” Mr. Sharp said. The 15-second digital ad is appealing to campaigns for several reasons. First, there is more inventory for shorter online ads, making them easier and cheaper to snap up. Second, the completion rate for well-produced digital ads is often higher than for their television counterparts. “When you’re keeping your content bite-sized and tailored to your audience, you have a much better return,” said Suzanne Henkels, spokeswoman for NextGen Climate Action, a “super PAC” focused on climate change and founded by Tom Steyer. Digital ads also allow for a more precise — and often more efficient — way to reach voters. “On YouTube, we can target directly to a congressional district or a state or a metropolitan area,” said Lee Dunn, who leads the elections team at Google, which owns YouTube. And political organizations are taking notice. The U.S. Chamber of Commerce ran 15-second ads in six competitive Senate states this summer, each aimed at a distinct demographic. “The beauty of this digital stuff is you can tell who’s clicking on it, how long they’re staying on it, and we can track them from cradle to grave — did they vote?” said Scott W. Reed, senior political strategist at the chamber. But while political strategists recognize the importance of digital ads, they also acknowledge the challenge of perfecting the science that makes an online spot successful. Though no single formula exists, strategists agree on several basic rules for grabbing voters’ attention. First and foremost is front-loading the ad by placing the most important message in the first few seconds. During the 2014 election, for example, NextGen released a 15-second digital ad featuring millennials dressed as dancing bananas and monkeys, urging viewers — within the very first second — to remember to vote on Election Day. Smart campaigns are also making sure the message matches the medium. On Facebook and Twitter, videos begin to play automatically, but without sound, which makes attention-grabbing visuals critical. And on Snapchat, the best spots often mimic the authentic, raw and humorous feel of other Snapchat videos. And, of course, just like television, content reigns supreme. “You can make any 15-second ad you want, but if they’re boring, and people are just overwhelmed with the amount of advertising out there, then they’re not going to stick out,” said Anton Vuljaj, a Republican digital consultant. A new generation of admen and women seems already to have grasped that an effective digital ad is a different beast, and not simply the best 15 seconds from a 30- or 60-second TV spot, cut down for digital. Another video — released on Facebook, Twitter, Snapchat and YouTube — featured Mr. Paul taking a chain saw and a wood chipper to the tax code, and underscored the new role of online advertising, both as a growth area for politics and a virtual sandbox for experimentation and even playfulness. Braintree, the PayPal-owned online payments processor, is on track to surpass $50bn in transactions made over its platform this year, as competitors grapple to win the lion’s share of the burgeoning e-commerce industry. The Chicago-based company has grown its payment volume fourfold since it was acquired by PayPal two years ago for $800m. Braintree allows merchants to accept online and mobile payments from consumers via a range of methods including credit card, bitcoin, Apple or Android Pay or PayPal. A consumer would not necessarily know they are using Braintree, whose merchant clients include Uber, Airbnb, Pinterest and Hungryhouse. Braintree said that the $50bn value it expects to reach this year does not include PayPal payments, so a like-for-like comparison to sales before the acquisition can be made. The number of registered cards on the payments processor’s system has tripled from 56.5m in early 2014 to 154m in the second quarter of this year. Braintree is one of a handful of companies that are competing to help merchants make the digital checkout process easier and more attractive to consumers. “There is a rewiring of commerce that’s happening right now,” said Juan Benitez, general manager of Braintree, who was chief technology officer before the company’s acquisition. Other companies in this space include its owner PayPal, which processed 4bn payments worth a collective $235bn (£152bn) in 2014. Square, which was founded by Twitter co-founder and chief executive Jack Dorsey, processed $30bn in payments last year, while Klarna, a Swedish rival, supported $9bn-worth of transactions. Stripe, a San Francisco-based startup valued at $5bn, only disclosed that it processes billions of pounds a year for thousands of companies. Benitez believes that Braintree’s scale – it operates in 46 markets – as well as its tie-up with PayPal gives it an edge over its competitors. Global commerce spending via mobile devices is set to reach $720bn in 2017, up from $300bn last year, according to IDC. Getting a satellite into orbit is only the first step in making it a useful piece of equipment. It also needs to arrive in the correct orbit and stay there, known as station-keeping. In the past this was accomplished with chemical propulsion, but more modern satellites have relied upon a mix of chemical and electric propulsion. Now Boeinghas announced the first all-electric ion propulsion satellite is fully operational. The satellite in question doesn’t have a snappy name — it’s a communications satellite called ABS-3A 702SP. It was launched last March aboard a SpaceX Falcon 9 rocket. It has just recently been handed over to its owner, Bermuda-based telecommunications company ABS. Because ABS-3A is a communications satellite, it needs to remain in a geosynchronous orbit. Thus, station-keeping is essential. When it can no longer maintain its orbit, it will cease being useful. Ion thrusters make a lot of sense in this scenario. Ion engines operate on the same basic principles of physics that chemical thrusters do — expel mass from a nozzle to push a craft in the opposite direction. Instead of the combustion of volatile chemicals, ion engines operate with chemically inert xenon gas. Using an electrostatic field, the ionized gas is accelerated out of the nozzle, propelling the craft forward. This is the same type of thruster technology used on NASA’s Dawn spacecraft, which is currently studying the dwarf planet Ceres. Ion thrusters are considerably more efficient than conventional rocket motors. In this case, Boeing claims the Xenon Ion Propulsion System (XIPS) designs used for ABS-3A is ten times more efficient than liquid fueled rockets. ABS-3A needs only 11 pounds (5kg) of xenon gas per year to maintain station-keeping, meaning it can remain operational much longer than a similar satellite with conventional thrusters. ABS expects the satellite to remain active for about 15 years. 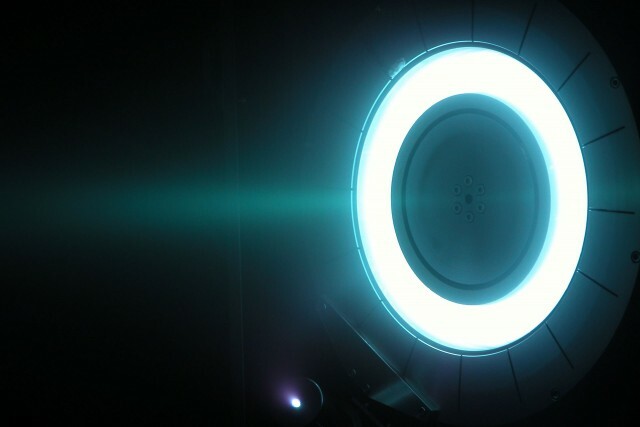 Ion thrusters are also considerably lighter than chemical engines, making launches cheaper. The drawback is the very low thrust of an ion engine. That’s why past satellites have carried conventional thrusters as well. Upon delivery to orbit, ABS-3A used its ion thrusters to reach a geosynchronous orbit at 3 degrees west longitude. 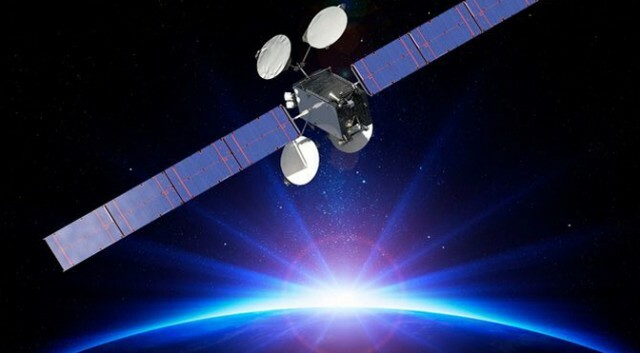 After being tested by Boeing, the satellite was turned over to ABS on August 31st. Now that the design has proven itself viable, Boeing is forging ahead with a second satellite for ABS using the same XIPS engines. This one will be blasted into space sometime next year. From robot sales staff and drone deliveries to Minority Report-style personalised marketing, the way we shop is drastically changing. While none of those has yet hit the high street, the revolution is well under way, and one company believes it can become to online payments what Google and Facebook became to information and socialising in the internet age. But you’ve probably never heard of it. Stripe, a San Francisco-based start-up that was launched four years ago by Irish brothers Patrick and John Collison aims to streamline the digital checkout process by allowing businesses to embed a payment form that can be customised and active on its website or app almost immediately. There is no consumer-facing element, so if you have entered your card details to make an online payment to Deliveroo, the Guardian, Comic Relief, Crowdcube or Bloom & Wild – or used Apple Pay to make a purchase – chances are you’ve unknowingly used Stripe. Think of it as the invisible company powering the online economy. James Allgrove, who runs operations in the UK, Stripe’s second-biggest market, believes that “online commerce is the last Google-sized problem on the internet”, and, naturally, that Stripe is the solution. Although it has been 20 years since industry giants Amazon and eBay made their first online sales, and any bricks and mortar retailer that plans to be around 20 years from now has since followed suit, e-commerce is still a relatively underpenetrated market. Allgrove – who became an eBay powerseller, ranking him among the website’s most successful vendors in product sales and customer satisfaction, at the tender age of 16 – says that “it’s super early days” for internet retail, pointing out that “less than 5pc of global transactions take place online”. The UK, which has by far the highest online spend per capita in the developed world, fares only slightly better, with e-commerce accounting for roughly 10pc of transactions. Allgrove thinks that’s largely because no one has yet figured out quite how to create a smooth, swift and secure online checkout experience. PayPal had a (rather successful) crack at it, processing 4bn payments worth a collective $235bn (£152bn) in 2014. More than a decade after its $2.5bn acquisition by eBay in 2002,the company returned to the public market in July and now has a market cap of $41.8bn. Other successful rivals include Square, founded and run by Twitter co-founder and interim CEO Jack Dorsey, which processed $30bn in payments last year and is reported to be planning an IPO later this year, and WorldPay, the London-based payments processing company that is currently deciding between a £6bn sale to French rival Ingenico and an IPO that would land it immediately in the FTSE 100. And yet Stripe, which has turned up years if not decades late to the party, has managed to convince investors that it can bring something new to the space. It has raised around $300m from the likes of American Express, Visa, Sequoia Capital, Kleiner Perkins Caufield & Byers, Andreessen Horowitz, Elon Musk and Peter Thiel, reaching a valuation of $5bn. That places Stripe among the 20 most valuable start-ups in the world, alongside household names as Spotify, Pinterest, Airbnb and Uber. As with many of these companies, Stripe’s success lies in the seeming simplicity of its product. Other payment providers require the merchant customer to sign up for several services across separate countries and potentially wait months for their service to be activated, while Stripe provides instant access to tools that allow businesses to integrate payments into their websites and apps. Consumers only have to enter basic card details – such as name, number, expiry date, CVV (card verification value) – while many of its rivals require users to set up accounts and go through various pages of security checks. “When a merchant uses PayPal, the consumers end up being PayPal’s customers too – they have to go through lots of steps and the business can’t customise the user’s experience,” says Allgrove. And while others have tried their hand at solving this problem, several with great success, Allgrove says that “nobody has approached it from a platform point of view” by providing APIs, or software-building tools, with which the merchant can work. Stripe’s management team phrases the company’s mission as “increasing the GDP of the internet” and talks about how the economic promise of the online age has been neglected. Allgrove explains that Stripe, which currently operates in 135 currencies across 21 countries, “helps entrepreneurs sell globally earlier on”. “Online transactions are internationally siloed, and breaking those barriers encourages more people to come online,” both in terms of bringing more customers to its existing merchants and attracting new businesses to internet transactions. He insists the company is “levelling the playing field both ways” – not just fuelling the next generation of young, disruptive start-ups but also helping bring traditional retailers online. Of course, Stripe is itself part of that revolution and its relative youthfulness is one of its greatest strengths. While the legacy payment providers are weighed down with what Allgrove calls “technological debt”, Stripe was able to start from scratch in the age of mobile and take its product straight to developers. Now it counts Visa, Apple Pay, Android Pay, Alibaba’s Alipay, Facebook, Twitter and Pinterest among its partners. Despite the decades Stripe’s legacy rivals have on it, Allgrove – who worked at Bain & Co for four years and helped take the online investment manager Nutmeg through its $32m Series B funding round – believes the rapidly evolving state of the market means it’s anyone’s game. Technological innovation, mobile penetration and shifting consumer habits have “opened up a whole new realm of possibilities” for online payments. These three trends have not only reorganised how and where customers in developed markets are spending their money but have brought people in developing countries, many of whom skipped the desktop generation and went straight to mobile, into the e-commerce economy. And much like the internet did at the end of the last century, mobile has ushered in a new age of technological innovation. Social commerce, where users will be able to buy directly through Facebook or Pinterest, will cause another seismic shift in e-commerce, “creating a whole new channel that shifts the point of purchase nearer the point of discovery”, essentially eliminating further steps that distract a consumer between wanting an item and actually making the purchase. So are robots and drones the future of retail? Are the days of cash numbered? Allgrove isn’t sounding the death knell quite yet. He says the boundary between physical retail and e-commerce is blurring. Online and mobile shopping is moving offline, with internet stores such asMade.com opening showrooms and consumers now able to pay in shops using their smartphones. And although cash has been in decline for a long time, “it will take longer to go than we think”. Even so, Allgrove envisions a future where there will be no tills and a consumer will get billed automatically upon walking out of a shop with items. The question is, will Stripe be the company to wave that wand when there are older, larger and more powerful wizards out there? Facebook wasn’t the first social network. Google wasn’t the first search engine. Amazon wasn’t the first internet vendor. And Stripe isn’t the first online payments processor. But nowadays, that doesn’t seem to matter at all. “Is death knocking on the door of antivirus? Yes. Is it dead yet? No,” said NSS Labs CEO Vikram Phatak. However, antivirus software is dead in a way, as it has evolved to become quite different from the original iterations. Those programs used software signatures to fight viruses. Much of today’s antivirus software has more than signatures in its arsenal and doesn’t do much virus fighting. Netflix reportedly is in the process of dumping its antivirus software and placing all its faith in an alternative solution to protect its more than 60 million subscribers from online nastiness, a move that prompted one pundit to pronounce the death of antivirus software yet again. By dropping its service, Netflix was hammering the last nail in antivirus software’s coffin, suggested a Forbes article last month. However, such dire pronouncements about antivirus software have been made for years, and they’re likely to be made for many years to come. “Antivirus persists, so I think calling it dead is not prudent,” said Jason Brvenik, the principal engineer in Cisco’s Security Business Group. “Pronouncing AV dead is perhaps looking myopically at one portion of the role AV plays in the ecosystem for organizations,” he told TechNewsWorld. “The death of antivirus makes an impactful headline — and yet the reality is that such headlines are hardly new, nor accurate,” noted Raj Samani, vice president and CTO of Intel Security. Antivirus software still has a role in protecting organizations against cyberattacks, Samani told TechNewsWorld. Antivirus works with other measures — such as blacklisting, whitelisting, behavioral analysis, threat intelligence analysis and threat detection — to create a more efficient approach to mitigating malware threats. “The era of AV-only is over,” said Piero DePaoli, Symantec Enterprise Security’s senior director for global product marketing. Where antivirus software falls down — and why its critics have rushed over the years to dig its grave — is in its ability to deal with sophisticated attacks. “It won’t handle a motivated attacker, but it will handle the mundane, and that’s significant,” Cisco’s Brvenik said. As imperfect as antivirus software is, it still performs a valuable service at the endpoints in any network. “Here at Kaspersky Lab we record over 325,000 new malware samples every day,” said North America Managing Director Chris Doggett. While new technologies may run circles around antivirus software in identifying threats, AV programs do more than identify threats, which is why they continue to remain viable. “As these [antivirus] products stand right now, they are the best solution we have today,” said Vikram Phatak, CEO of NSS Labs. “There are a bunch of new endpoint products, but none of them are equivalent to what an antivirus product does from a number of different angles — everything from remediation to quarantine,” he told TechNewsWorld. However, antivirus software is dead in a way, as it has evolved to become quite different from the original iterations. Those programs used software signatures to fight viruses. Much of today’s antivirus software has more than signatures in its arsenal and doesn’t do much virus fighting. Software signatures are less important to antivirus programs. Signatures have been either supplemented or replaced with tools that identify threats by how they behave, rather than what they appear to be. AV testing has shown that antivirus programs are missing about 4 percent of the threats in the wild, Tom Kellermann, chief cybersecurity officer at Trend Micro, pointed out. “Four percent may not sound like much, but it’s a lot when you consider there’s a new threat being created every two seconds,” he told TechNewsWorld. Aug. 30. Palo Alto Network’s Unit 42 estimates KeyRaider malware has compromised 225,000 Apple accounts by infecting jailbroken iOS devices. Aug. 31. Avid Life Media, operator of the infidelity website Ashley Madison, announces “hundreds of thousands” of new users have signed up for the Ashley Madison platform since widely publicized data breach that exposed online intimate information on 33 million account holders. Aug. 31. Minnesota Department of Public Safety reports driver’s license information for 18 people is at risk after a password-protected portal was accidentally opened on the Internet. Sept. 1. Microsoft, Google and Mozilla announce phaseout of RC4 encryption support. RC4, in use since 1987, primarily secures data-in-transit on the Internet. Recent attacks have shown the encryption scheme can be cracked in hours or days. Sept. 1. U.S. Office of Personnel Management and Department of Defense jointly announce award of US$133 million contract to ID Experts to provide identity theft services to 21.5 million people affected by data breach at OPM. Sept. 1. UCLA Health notifies 1,242 people that their personal and healthcare information is at risk after laptop of a faculty member was stolen July 3. Sept. 2. UK publisher WHSmith reveals private data of people filling out a “contact us” form online was being emailed to the company’s subscribers instead of the company due to a configuration error at its website. Sept. 2. Cancer Care Group of Indiana pays $750,000 to U.S. Office for Civil Rights to settle violations of federal law related to data breach caused by theft of an employee’s computer. Sept. 2. Conservative think tank The Heritage Foundation reports personal information of an undisclosed number of donors is at risk due to a data breach of an external server containing six-year-old documents. Sept. 2. Filing in federal district court in Los Angeles announces settlement in lawsuit filed by Sony Pictures Entertainment employees whose personal information was posted online after data breach at the company. Terms of settlement or the number of employees involved were not included in the filing. Sept. 3. Brunswick Hotel and Tavern in Maine discloses that personal information of some 2600 guests is at risk from malware infection found on its front desk computer. It adds that 30-40 guests have reported fraudulent charges on their credit cards related to the data breach. Sept. 3. A California court dismisses $1.25 million lawsuit against UCLA Health for failing to adequately protect a woman’s medical record that was improperly released to a romantic rival. Sept. 4. Kronenberger Rosenfeld files lawsuit against GoDaddy, Amazon Web Services and multiple anonymous defendants for obtaining and repurposing stolen data from Ashley Madison to make it easily accessible and searchable by the media and curious Internet users, and actively distributing it for their own gain. Sept. 12-21. SANS Network Security 2015. Caesars Palace, Las Vegas, Nevada. Long Courses: $3,145 – $6,295. Short Courses: $1,150 – $2,100. Sept. 16. Secure Networks Mean Secure Revenue. 11 a.m. ET. Webinar sponsored by Arbor Networks. Free with registration. Sept. 16. George Washington University Cyber Academy Open House. George Washington University, Virginia Science and Technology Campus, Enterprise Hall, 44983 Knoll Square, Ashburn, Virginia. Free with registration. Sept. 22-23. SecureWorld St. Louis. America’s Center Convention Complex, St. Louis. Registration: open sessions pass, $25; conference pass, $175; SecureWorld plus training, $545. Sept. 28-Oct. 1. ASIS 2015. Anaheim Convention Center, Anaheim, California. Through May 31 — member, $895; nonmember, $1,150; government, $945; student, $300. From June 1 through Aug. 31 — member, $995; nonmember, $1,250; government, $1,045; student, $350. From Sept. 1 through Oct. 1 — member, $1,095; nonmember, $1,350; government, $1,145; student, $400. Sept. 30-Oct. 1. Privacy. Security. Risk. 2015. Conference sponsored by IAPP Privacy Academy and CSA Congress. Bellagio hotel, Las Vegas. Registration: Before Aug. 29 — member, $1,195; nonmember, $1,395; government, $1,045; academic, $495. After Aug. 28 — member, $1,395; nonmember, $1,595; government, $1,145; academic, $495. Oct. 19-21. CSX Cybersecurity Nexus Conference. Marriott Wardman Park, 2660 Woodley Rd. NW, Washington, D.C. Registration: before Aug. 26 — member, $1,395; nonmember, $1,595. Before Oct. 14 — member, $1,595; nonmenber, $1,795. After Oct. 14 — member, $1,795; nonmember, $1,995. Oct. 28. The Cyber-Centric Enterprise. 8:15 a.m. ET. Virtual conference. Free with registration. Oct. 28-29. Securing New Ground. Conference sponsored by Security Industry Association. Millennium Broadway Hotel, New York City. Registration: Before Sept. 8 — member, $895; nonmember, $1,395; CISO, CSO, CIO, $300. After Sept. 7 — member, $1,095; nonmember, $1,495; CISO, CSO, CIO, $300. Nov. 10. FedCyber 2015 Annual Summit. Tyson’s Corner Marriott, 8028 Leesburg Pike, Tyson’s Corner, Virginia. Registration: $395; academic, $145; government and military, free. Nov. 24-25. Cyber Impact Gateway Conference. ILEC Conference Centre and Ibis London Earls Court, London, UK. Registration: end users–pounds 1699 plus VAT (before Sept. 18), pounds 1799 plus VAT (before Oct. 9), pounds 1899 plus VAT (before Oct. 30), pounds 1999 plus VAT (standard); solution providers–pounds 2699 plus VAT (before Sept. 18), pounds 2799 plus VAT (before Oct. 9), pounds 2899 plus VAT (before Oct. 30), pounds 2999 plus VAT (standard). Dec. 12. Threats and Defenses on the Internet. Noon ET. Northeastern University, Burlington Campus, 145 South Bedford St., Burlington, Massachusetts. Registration: $6. Instagram opened its platform to most advertisers across the globe on Wednesday as the photo-sharing app seeks to make more money and compete with popular rivals such as Snapchat. Ads, previously available only in eight countries, will debut in more than 20 others including Italy, Spain and India, Instagram said. More than 200 countries will have ads by Sept. 30. With 300 million monthly active users, Instagram has a key advantage over rivals because parent Facebook Inc’s vast trove of consumer data allows it to target audiences more accurately, a major selling point for advertisers. “It would have taken us years to build some of this technology without Facebook. We can take advantage of years of experience,” James Quarles, global head of business and brand development at Instagram, said in an interview last week. But users who have grown comfortable with mostly ad-free Instagram feeds of photos from people they follow may rebel. For the past two years, Instagram has only allowed ads by certain brands, such as Victoria’s Secret and Old Navy. Until Wednesday, Instagram ads had only been available in the United States, Canada, United Kingdom, Japan, Australia, Germany, France and Brazil. A sponsored ad on Instagram over the weekend said more ads would be coming soon, but did not specify when. Many users expressed concern, said Debra Aho Williamson, social media analyst at eMarketer, noting that the changes need to be rolled out slowly. Advertisers have been clamoring for the chance to get on the increasingly popular app to tap its user base of teenagers to young adults, and its ability to leverage data from Facebook, the world’s largest social network with 1.5 billion users. Instagram ad revenue is projected to reach $1.5 billion in 2016, according to eMarketer, a research firm, and nearly double by 2017 to $2.8 billion. Instagram has been working to provide more creative options for advertisers. In addition to its signature square, new layout options introduced last month for pictures and videos allow more design flexibility. The new video formats are also an effort to attract film producers as the layout is ideal for movie trailers and premieres, Quarles said. “Instagram is a platform we know our targets are engaging the most on and it’s more appealing on that platform,” said Monique Lemus, director of media buying at The Media Kitchen, an ad buying agency. Gaming is already one of the most popular video categories on YouTube, with many of the service’s top channels focused on games. However, it is facing growing competition from Twitch, a dedicated games site that Amazon paid $970m (£623m) for last year. Google had attempted to acquire Twitch, but Emmett Shear, Twitch’s chief executive, said at the time that it had chosen Amazon “because they believe in our community, they share our values and long-term vision, and they want to help us get there faster”. YouTube’s new website will pull in many of the gaming videos already on its main service. It will also make it easier to find videos and stream gameplay, with individual pages for more than 25,000 games. YouTube has promisedthe service will be “the biggest community of gamers on the web”. As well as a web service, YouTube Gaming is set to have Android and iOS apps. It is reportedly going live at 6pm on Wednesday evening in the UK and US. Video game streaming is growing at a rapid pace, and Twitch is America’s 4th-most popular website when measured by peak internet traffic. With a growing population and high smartphone penetration, online retail has been slow to take off in the Middle East and North Africa. What’s behind the region’s slow adoption of ecommerce, and how can it be changed? In the US, online now accounts for nine percent of retail sales, up from around one percent at the start of the millennium, resulting in Amazon’s market value recently surpassing Walmart’s for the first time. Meanwhile, China is now home to six of the twenty largest internet companies in the world; many of them – like Alibaba and the B2C retailer JD.com – have their roots in ecommerce. The Middle East has not been immune to this phenomenon. A 2013 report from IMRG identified MENA as the world’s fastest growing region, while another 2013 study from PayPal predicted that the Middle East’s online commerce market will reach $15bn by 2015. Much of this charge is being led by new companies such asSouq.com and the region’s myriad of national airlines, with country-specific websites also playing a role. Lack of online presence: Although the Middle East is home to large numbers of SMEs, the majority of them don’t have a website and no intention of getting one. Even larger multinational organisations, like the French retailer Carrefour, have a very limited online presence in the region and seldom offer online retail services. A preference for face-to-face: Social and cultural dimensions remain important for Middle East consumers, including the region’s digital natives. Subsequently many people still prefer to buy in person, where they can negotiate and draw on long-term business relationships; dynamics which are seldom possible in the same way online. No price differential: Online prices in the region are often the same as they are in store, thereby robbing consumers of a key financial driver for shopping online. As a result,showrooming – whereby consumers look at items in store and then go home and purchase them more cheaply online – tends to happen in reverse in the region. Lots of ecommerce happens under the radar: In the Gulf region there’s a whole cottage industry of outlets, often women acting independently, selling fashion items or food viaInstagram or WhatsApp. With such activity untracked and unregulated, the true size of ecommerce in the region is certainly understated. Privacy concerns: Online users in the MENA region are deeply concerned about their personal or credit card details being stolen or misused, although there’s little evidence to suggest that many people have been affected by online fraud. Leap straight to mobile: In the Gulf region – where smartphone penetration is among the highest in the world – government agencies and businesses should target mobile commerce. Over 40 percent of ecommerce sales in nearby India are conducted via mobile, with 33 percent in China and 20 percent in Brazil. These numbers demonstrate the potentialin emerging markets with a heavy mobile concentration. Harness social media: Internet users in the region are active social networkers. Users already trust these networks and frequently access them on their mobiles, so capitalising on this love affair through ‘click to buy‘ technology, may be one way to help encourage a step-change in ecommerce activity. Online retail is already an established part of many people’s lives in the region; with many nationals and expats engaging in online commerce when overseas or in their home countries. However, until these types of opportunities are replicated across the region, ecommerce will continue to fail to deliver its full potential for some time to come.